Great news! Worth waiting for!! Edited by neo*fan, Fri Feb 10, 2017 2:09 PM. I just want to say that I got mine last week. Yay! Just checked with Grazi. She said you never replied to her request to confirm address. In fact you are the only SCART pre-order that hasn't confirmed. So please contact her at your earliest convenience. As soon as we ship your module I'll let you know. Ok, I checked the archives and indeed I see your email. For some reason my spreadsheet shows yours as non-confirmed. I apologize. Will ship Monday morning, your module has been ready for a while. Is there a tracking number to follow the package? Thanks. Is there anybody out there? (yes, I like Pink Floyd music! it has been sent to the Dark Side of the Moon. What do you want from me, Youki? Your SCART SGM was shipped a couple of months ago with the first batch of SCARTs. I can't find tracking info, as I throw the receipt away a few weeks ago since most people had already acknowledged receiving their units. Anyways, I assume something happened to yours, so the best we can do at this point is to send you another unit. Could you please reconfirm address with Grazi, just to make sure we didn't send to the wrong address? 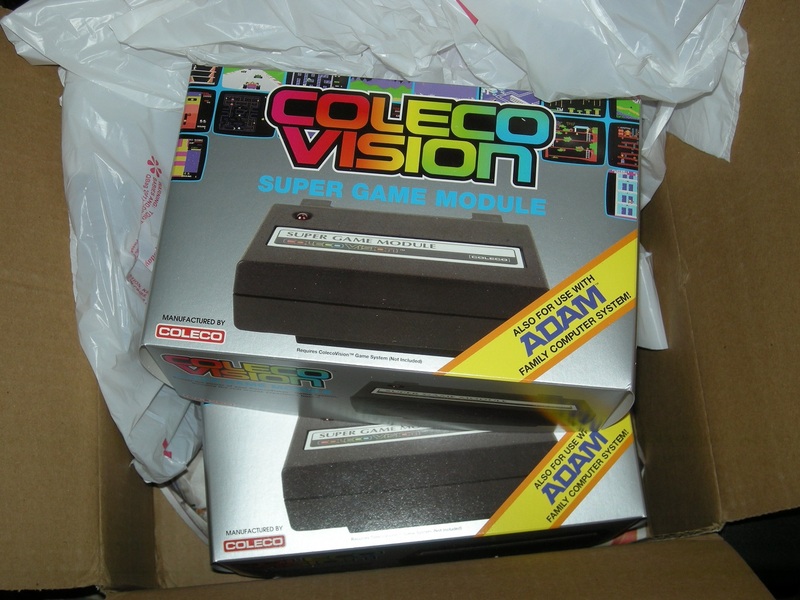 "Your SCART SGM was shipped a couple of months ago"
Are you serious? Do you remember your post #61, dated the 25th march 2017? Did you forget that you have written: "Will ship Monday morning, your module has been ready for a while"? So, even if I admit easily not to be the cleverer man on the Earth, it supposes that my SGM has only been sent the 27th march 2017... so not couple of months ago! And I have already given my home address the 8th february, by email, to Grazi and she answered to me the good receipt of it. I'm a patient guy but, now, I am very fed up with the SGM story. If you don't want to honor my order and want to have a sort of revenge about me because I have expressed my opinion concerning the SGM, just say that. Be honest. That's simple. And don't find each time fallacious arguments to explain your fault. Note that I have ordered SGM since "a couple of years", not months. Cyril, I am currently too busy and have too many things in my mind to waste my time with any sort of revenge as you are trying to insinuate. Sincerely it is my best interest you get what you paid for. My records show you SGM was shipped. Again, no long have tracking info to check, and even if I had, the best we could see is that the package left the US. So as I suggested in my previous post, the best I can do now is to send you another module this week, then make sure I forward you the tracking info this time, so this is no implication there is any bad faith going on. Shipping to the same address as before, that will be included in my copy of the custom receipt. SGM received some days ago. I'll give it a try with Mecha-9 (and Mecha-8!) the next week-end probably. Just one thing, a side of the box is not glued (or the glue has no effect). Which sort of glue is better to fix the box? ...Your SCART SGM was shipped a couple of months ago with the first batch of SCARTs. can you confirm that the second batch of french scart is still in the pipeline and was not shipped? Just checking as summer holidays are about to begin for many of us; I don't want my package to get lost somewhere while I'm away. Yes! My 2 scart sgms are now all mine!! Thanks everyone at Opcode (Eduardo and Grazi), now I'll be able to play all the SGM games from Team pixel boy and Opcode! Edited by neo*fan, Sun Jan 27, 2019 8:36 AM.